Seals polypropylene and polyethylene bags and tubing up to 8 mil thick and leaves a 3 mm seal width. 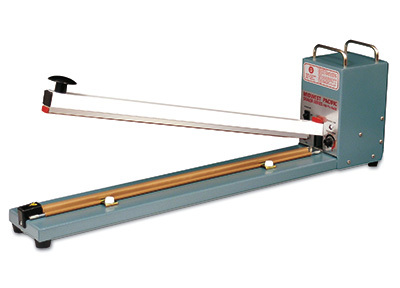 Heavy duty sealer is equipped with a solid-state timer for consistent seals. 32" seal width. Service kit sold separately.